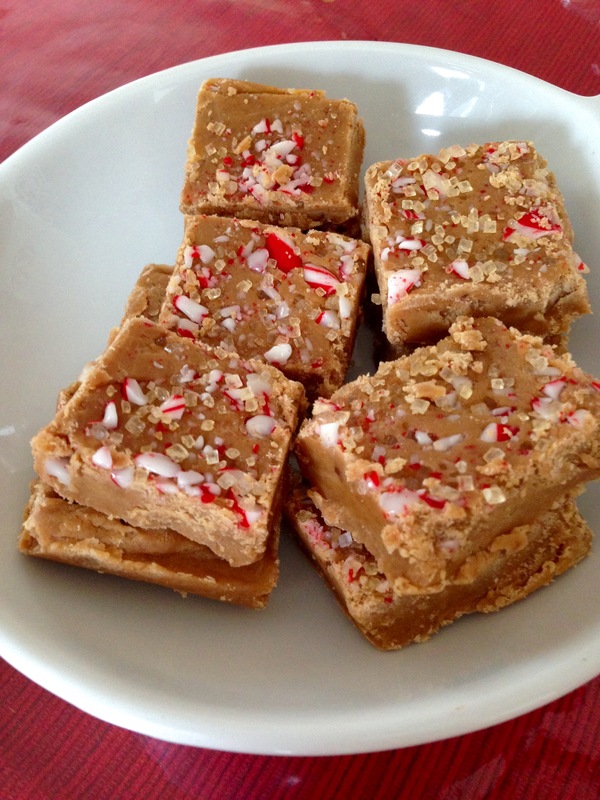 This fudge is a delicious treat for the holidays, garnished with crushed candy canes. It’s also a great little holiday workout for your biceps as you’ll be vigorously stirring for up to 18 minutes. Makes for guilt-free indulgence! Transfer to baking dish and sprinkle topping of choice. Leave a comment	| tags: baking, brown sugar, brown sugar fudge, candy canes, condensed milk, creamy fudge, fudge, fudge recipe, homemade fudge, sea salt, sea salt recipes	| posted in Snack Attack! 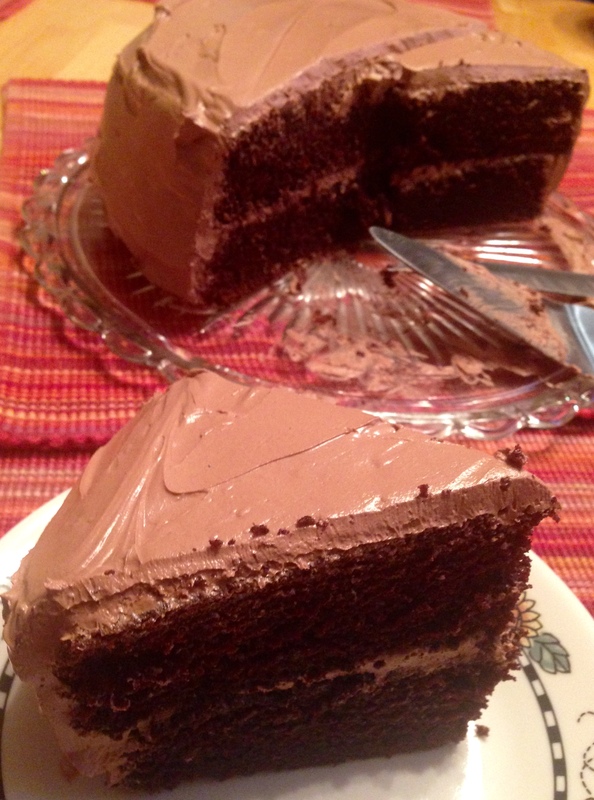 Today’s my dad’s birthday – a perfect reason to indulge and bake a homemade chocolate cake from scratch. Of course, when I served this for dessert tonight my brother looked at me and in all seriousness said, “Ok, so what’s ya got in this? Spinach? Beans?” For the first time in a long time I could honestly say nothing! This cake is loaded with sugar, cocoa and butter and for that you get one incredible tasting cake. I’m a huge fan of chocolate, but I am not one for sweets if that makes sense. And I am very particular about icing. Of all the icing recipes I have tried and experimented with over the years this is hands down my favourite. It’s buttery-creamy texture is set off perfectly with a hint of coffee and avoids all that sugary-sweet taste that I loathe in icings. I hope you enjoy as much as my family did. I got this recipe from the Food Network and never changed a thing. In a large bowl, sift the flour, sugar, cocoa, baking soda, baking powder, and salt until combined. In medium bowl, combine the buttermilk, oil, eggs, and vanilla. In a small bowl beat the butter on medium-high speed until light yellow and fluffy, about 3 minutes. Dissolve the coffee powder in 2 teaspoons of hot tap water. On low speed, add the chocolate and coffee to the butter mixture and mix until blended. Don’t whip! 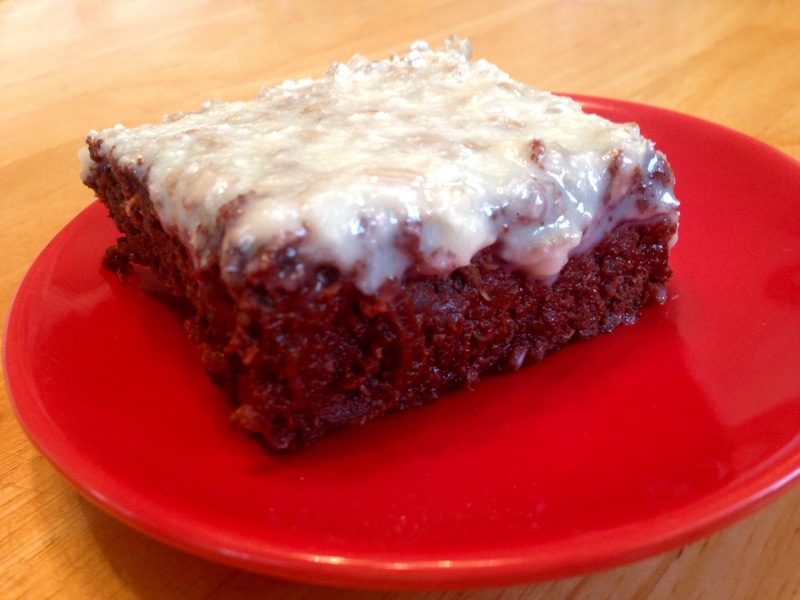 Leave a comment	| tags: birthday cake, birthday recipes, cake recipes, chocolate, chocolate cake, chocolate frosting, chocolate lovers, chocolate recipes, dessert recipes, sweet tooth	| posted in Snack Attack! One of my all-time favourite treats is getting an oatcake from local coffee shop. 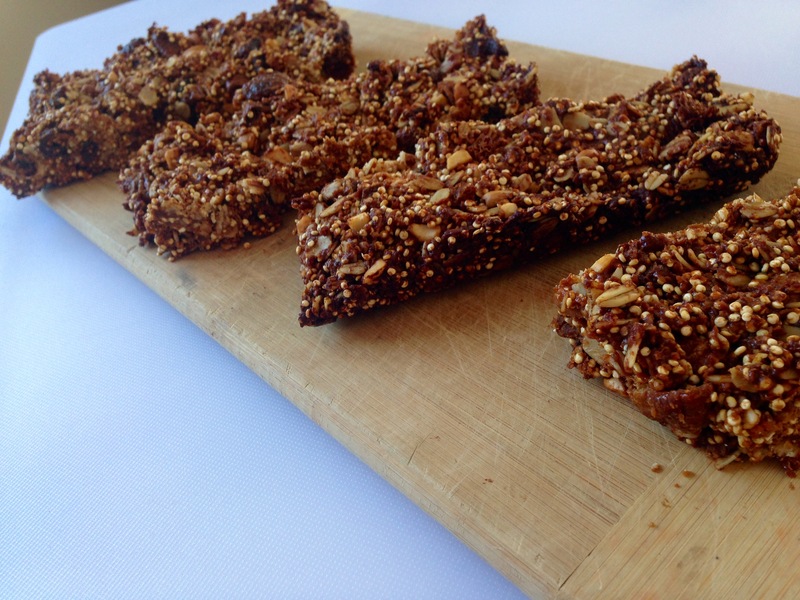 This recipe makes a delicious 300 calorie snack, breakfast alternative or mid-afternoon energy boost to get you through to supper. Oats are full of fiber, a good source of iron and are one of those foods that leave you feeling full for a while. 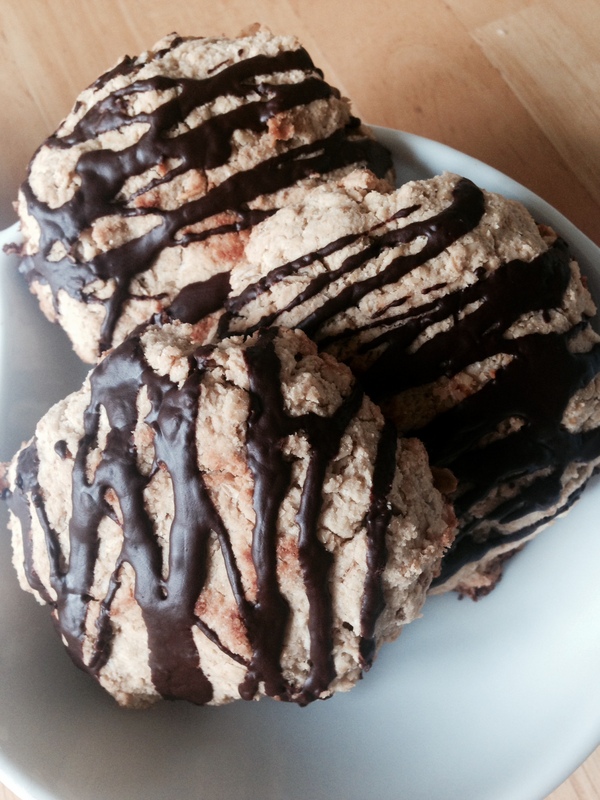 Leave a comment	| tags: baked goods, baking, chocolate, chocolate recipes, coconut flour, oatcake recipes, Oatcakes, oatmeal	| posted in Snack Attack! 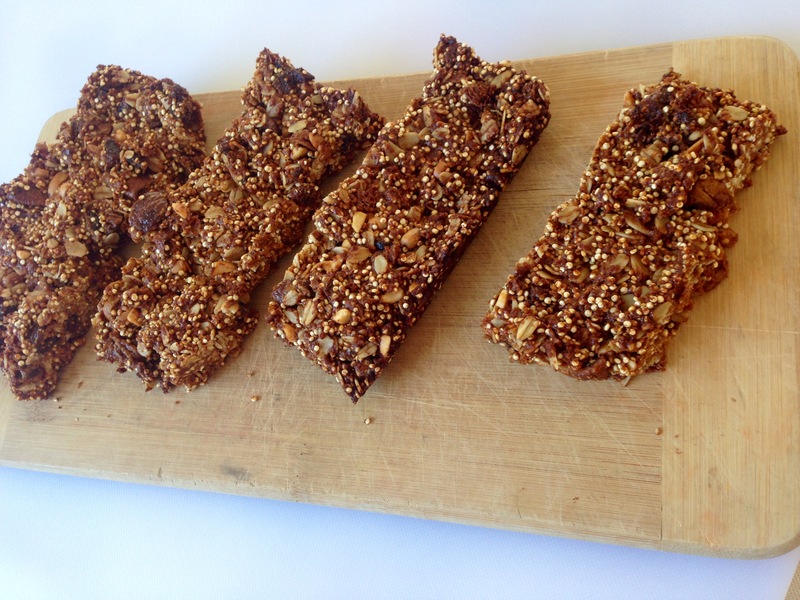 A refreshing snack perfect for summer! If you’re in a hurry, simply blend all ingredients and freeze. Or, to get the layered effect, follow the directions below. I found the popsicle moulds at Stokes for $5.99 and they worked great! 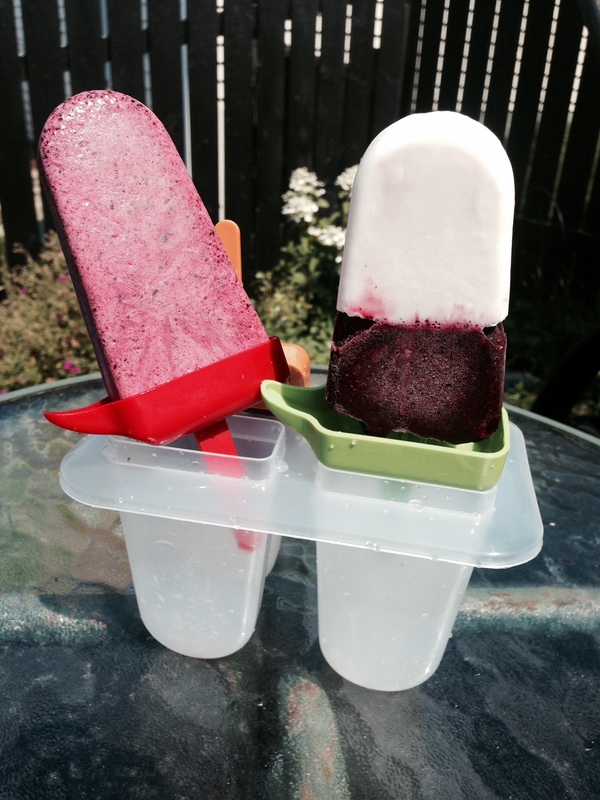 Leave a comment	| tags: blueberries, coconut milk, Healthy Eating, healthy recipes, popsicle recipes, popsicles, snack recipes	| posted in Snack Attack! I was invited to a BBQ this evening, and asked to bring a dessert. I wanted two things: no bake (anyone in NL will understand why!) and a way to use the last of my blueberries to make room for this year’s berries. 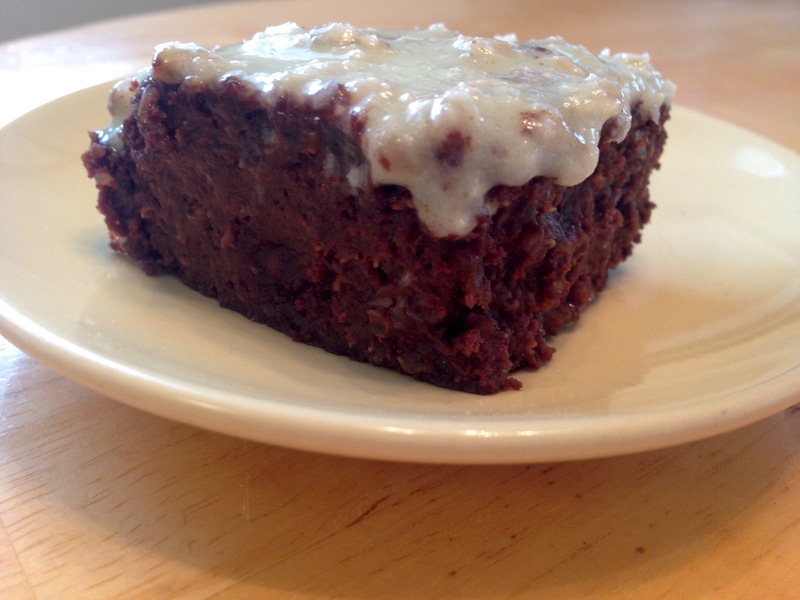 I did some searching and found inspiration from Eat Good 4 Life, one of my go-to recipe blogs. There, I found Gluten-Free No Bake Blackberry Frozen Cheesecake. I made some changes, and came up with these. Whip the cream cheese and honey using a mixer, until smooth. Then add lemonade and mix until blended. Transfer half the batter on top of the crust. Remove the cheesecake from the freezer at least 20 minutes prior to serving. Pull the cheesecake from the baking dish, remove parchment paper and place on a rack to partially defrost. After 20 minutes, transfer to a cutting surface and cut into squares. Keep square frozen until ready to eat. 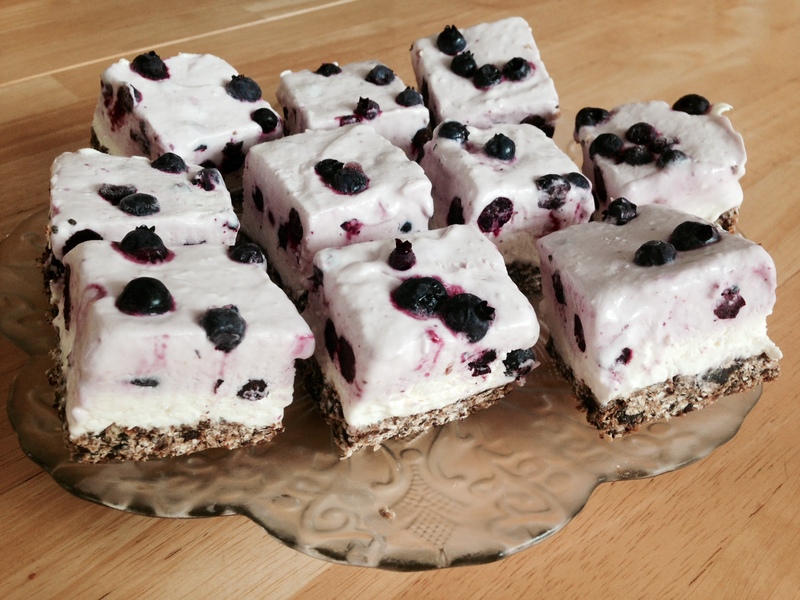 Leave a comment	| tags: blueberries, blueberry cheesecake, blueberry recipes, cheesecake, frozen cheesecake, gluten free recipes, gluten-free, no-bake cheesecake, no-bake recipes, oat flour, oats, prunes	| posted in Snack Attack!